China does not care for international agreements. This is not new. While India had to struggle for three years to get an exemption from the Nuclear Suppliers Group to be able to sign civilian nuclear agreements (with France, US and Russia amongst others), China 'offers' nuclear technology to Pakistan without going through any of these legal niceties. At the same time, the US and France have decided to close their eyes on the Sino-Pakistani deal. President Sarkozy on a visit in Beijing lobbied for more nuclear 'cooperation' between China and France; they have decided to 'save' nuclear technology as Le Monde wrote. Xinhua reminded us of last year memorable visit of President Hu to France, "During the meeting, Hu said China and France should expand cooperation in burgeoning industries such as new energy, recycling and nuclear safety while deepening cooperation in traditional fields such as trade and economics." There is however a problem. Beijing is selling outdated technology to Pakistan and if something happens to the reactors (earthquake, floods or terrorist attacks), India will be the first country to get the fumes. Why is the Indian anti-nuclear lobby so silent on this? 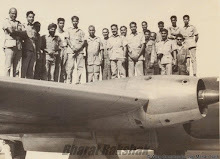 They probably believe that the cloud will stop on the LoC! India should watch with interest the reactions of the Mekong Commission. The new dam on the Lanchang (Mekong) will have serious ecological consequences for the nations downstream (Thailand, Cambodia, Laos and Vietnam). Beijing has so far refused to be a member of the Mekong Commission, considering that the mighty river belongs to Middle Kingdom and therefore the Chinese leadership does not need to inform the four downstream nations when megadams are built in Yunnan Province of China. This is called international collaboration with Chinese characteristics. The same process will probably be followed for the Yarlung Tsangpo (Brahmaputra). Will India protest? Kunming, March 25 (Xinhua Zhao Dachun) reporter from the Huaneng Lancang River Hydropower Co., Ltd. was informed that the national key project, the largest planning and construction of the Lancang River Basin hydropower - Huaneng Power Station Nuozhadu formally approved by the State. Huaneng Lancang Nuozhadu hydropower station is located downstream of the city of Pu'er in Yunnan Province, is planning the Lancang River Cascade River "second reservoir eight" in the fifth grade, but also the scale of the Lancang River Basin project and adjust the capacity of the largest power station, the total installed capacity of power plant capacity of 5.85 million kilowatts, with a total investment of about 450 million power station installed 65 million kilowatts units 9 units to ensure the output was 240 million kilowatts, the annual average generating capacity of 23.912 billion kwh. Huaneng Nuozhadu Hydropower Station is the "West to East" and "outgoing electric cloud," the key project, also in Yunnan hydropower-based electricity nurture pillar industries, the construction of hydropower energy base important project. After the completion of power plants, has made great economic benefits in the same time, power saving and emission reduction benefits will be fully reflected. It is estimated that all the generating units, the equivalent to saving 9.56 million tons per year for the state of standard coal, reduce carbon dioxide emissions of 18.77 million tons. At the same time, will reduce the amount of waste water, sludge, dust and other pollutants. Huaneng Power Project Nuozhadu design indicators of high and complex geological conditions, according to the plan, the dam, spillway, and other underground plant at home and abroad a number of technical indicators are among the forefront of gravel clay core rockfill dam straight dam is the same in Asia, the world's third; underground plant is currently one of the larger underground; open spillway size of Asia, and discharge power and flow rate ranks first in the world. My article Prepare for the Big Bang appeared in The Pioneer today. With China working on innumerable dams in Tibet and India planning to build dams in Arunachal Pradesh, a huge disaster awaits the region. It is comforting to see that the Chinese public public and media are now aware of the danger caused by large dams in seismic zones. Unfortunately, India is blissfully ignorant (or chose to be ignorant) of this fact. Corruption continues to be rampant in the sector and the dam lobby is extremely powerful. The Opposition is too much in a reacting mood as many Wikileaks cables show to play any positive role on this issue. Recently, the government of Arunachal Pradesh announced that the State will be one of India's leading power producers by 2022-23, 'after most of its allotted power projects are commissioned'. Governor Gen (Retd) J J Singh stated: "The annual revenue accrual to the state is likely to be of the order of Rs 10,000 crores after complete commission of the projects with an estimated capacity of 57,000 MW." Provided of course that there is no earthquake before. Xu, a retired researcher from the China Earthquake Administration’s Institute of Geology, and Sun, a former employee of the China National Nuclear Corporation (CNNC), who was once in charge of evaluating the nation’s uranium resources, have written to the Chinese premier, Wen Jiabao, setting out their concerns. In their letter, they write that the risks of building dams on the Nu – a plan that was shelved in 2004 following a public outcry, but has recently been revived – have not been fully assessed. “We are extremely troubled by this,” they add. Xu spent 40 years working in the field of earthquake prediction [Editor’s note: While earthquake prediction is a controversial or even discredited field of science in many parts of the world, in China it has long been part of the national earthquake administration’s programmes on quake monitoring and disaster prevention, although reports suggest it may soon be phased out.]. Sun specialises in structural geology and, before his retirement, worked at CNNC’s Beijing Research Institute of Uranium Geology. They argue that, as the Nu River lies on a structural fault at risk of earthquakes, there are enormous risks involved in building dams there – and that pressing ahead with these plans flies in the face of common sense. When Xu and Sun first heard about proposals for large-scale hydropower development on the Nu River -- which starts high up on the Tibetan plateau and flows through south-west China and down to the Indian Ocean -- they were shocked. “Tectonic movement in [Yunnan’s] Three Parallel Rivers area is stronger than anywhere else in the world– how can they build a cascade of dams here?” asked Sun. The pair pointed to three major risks. First, tectonic activity in this region means earthquakes are both strong and frequent. Second, other geological events such as mudslides are common. Third, tectonic movement has been strengthening: earthquakes and other disasters are becoming more frequent in the region, claim Xu and Sun, and the combination of climate extremes, tectonic and seismic activity is increasing the risks of a major disaster. This was the first time the National Energy Administration had made clear its views, and appeared to indicate that hydropower in China is about to enjoy a “great leap forward”. However, the official pronouncement has drawn fierce criticism from Chinese NGOs, the media and the public. [See chinadialogue article “Hydropower’s Green Excuse” for more detail on this]. Sun and Xu say that there is no precedent for building such a large hydropower scheme over an active fault, and that we should not be lured into complacency by China’s recent successes in the construction of large dams. The unusual geology of the Nu River means that the risks here are greater than elsewhere: the fault that forms the Nu River is still active. And, if built, the cascade of dams will run directly across it. “It’s like building on the blade of a knife – we are taking a huge risk,” said Sun. Even the geologists who drew up the plans for the Nu River dams agree, according to Xu and Sun. Everyone admits that the geological structure of the lower and middle-reaches of the Nu River is complex. The Nu River fault is the major geological feature of this stretch of the river and is the central factor in determining dam location and safety. “But we feel the planners weren’t wary enough of those geological hazards, with risk evaluations mainly, or even only, looking at the factors affecting individual dams – these were separate ‘micro-evaluations’ [and not, broader ‘macro-evaluations’],” said Xu. Xu said that over the past two centuries, and particularly in the last 60 years, western China (and especially the south-west) has been hit by frequent earthquakes: in 1950, an 8.6-magnitude earthquake in eastern Tibet, near the Nu River; in 1976, an 7.3-magnitude quake in Longling, Yunnan; in 1988, earthquakes measuring 7.4 and 7.2 on the Nancang River and at Gengma; in 1995, an 7.3-magnitude quake on the China-Myanmar border; and in 1996 one measuring 7.0 in Lijiang. All of these are on or near the Nu River. According to Xu, there has been a clear increase in the number of strong earthquakes in the south-west of China over the last century, a fact that should not be ignored when evaluating regional geological stability and earthquake trends. To date, he has not encountered any geologist or seismologist who does not expect a major earthquake on the Nu River during the twenty-first century. Both Sun and Xu believe that earthquake damage is not limited to the epicentre: its extent is related to the strength of the quake, and the stability and integrity of the surrounding geology. Even a large earthquake far away from the Nu River could trigger local disasters, such as mountainside collapses, landslides and mudslides. Another risk is that hillsides could collapse into the reservoirs, creating huge waves that threaten the dam, or forming blockages that will impact on local hydrology and on the lower reaches of the river. The huge mudslide that hit Zhouqu in Gansu, north-west China, last year – and which many have blamed on human development in the area – should be an important lesson for those considering hydropower construction on the Nu River. In fact, recent events in Japan demonstrate just how serious the issue is for China, added Sun. The Fukushima nuclear plant wasn’t built on the fault: the problems were caused by a chain of events triggered by the tsunami. If anything happened to a dam on the Nu River the consequences could be even worse. To put it mildly, the Indian media is very poorly informed on the different energy options for India. It is fashionable to put all the ills on nuclear energy (we have seen it through the debate after the visit of Dr Manmohan Singh in the US in September 2005), but has India other options if it wants to continue to grow at 8% or 9%? To believe that solar or wind can be a solution is just unrealistic, not to say unscientific. This does not mean that all the precautions should not be taken when Delhi decides to acquire nuclear plants. The safest possible solutions with all the necessary guarantees should be chosen. One of the main issues if India decides to go for French or Russian technologies is the rampant corruption of the Indian operators and their sub-contractors. How to insure that the concrete slabs will be built according to the proper norms and not according to CWG norms? The contract between the supplier and the operator should take this into account, otherwise nuclear could be a boon for new rajas (with Japanese consequences). Once again, the hydro-power is far more dangerous than the nuclear in seismic zones like the Tibetan plateau or the Northeast. Read this article in The Telegraph and you will understand. Now scientists in China and the United States believe the weight of water, and the effect of it penetrating into the rock, could have affected the pressure on the fault line underneath, possibly unleashing a chain of ruptures that led to the quake. Fan Xiao, the chief engineer of the Sichuan Geology and Mineral Bureau in Chengdu, said it was "very likely" that the construction and filling of the reservoir in 2004 had led to the disaster. "There have been many cases in which a water reservoir has triggered an earthquake," said Mr Fan. "This earthquake was very unusual for this area. There have been no seismic activities greater than a magnitude seven quake along this particular seismic belt before." The 7.9 magnitude quake struck last May and left more than five million people homeless. 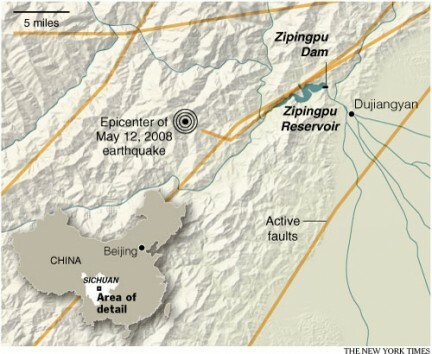 It remains a raw and emotional topic for most Chinese, and the government has been quick to quash any suggestion that Zipingpu may have been responsible for the catastrophe. Researchers have been denied access to seismological and geological data to examine the earthquake further. Zipingpu is only one of nearly 400 hydroelectric dams in the earthquake zone. Mr Fan said the government had been warned of the danger of building so many large-scale projects in a seismically active area, but that the warnings had gone unheeded. "I not only opposed the construction of Zipingpu, but also the overdevelopment of the reservoirs on Minjiang River. There are ten major reservoirs on the main river, 29 on its tributaries and a lot more smaller-scale reservoirs, all of which block the flow of the entire river, and are very hazardous to the local geology," he said. 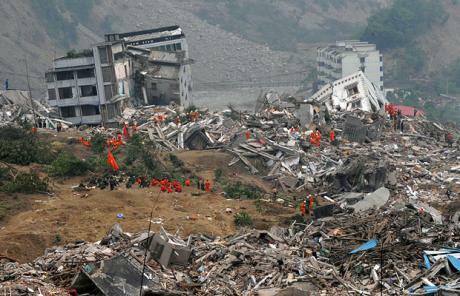 Although Sichuan is an earthquake-prone region, many scientists were caught by surprise by the magnitude of the quake. Christian Klose, a scientist at Columbia University's Lamont-Doherty Earth Observatory, said there had not been any "major seismic activity" on that fault line for millions of years. He argued that the sudden shift of a huge quantity of water into the region could have simultaneously relaxed the tension between the two sides of the fault, allowing them to move apart, and also increased the direct pressure enough to cause a violent rupture. The effect was "25 times more" than a year's worth of natural stress from tectonic movement, he said. Although the official government line is that its massive construction projects had nothing to do with the quake, some state researchers in Beijing have called for a full investigation. Lei Xinglin, of the China Earthquake Administration, said that the Zipingpu reservoir "clearly affected the local seismicity and it is worthwhile to study the role it played in triggering the earthquake further". He added that firm conclusions remain "premature" however. There is a history of earthquakes triggered by dams, including several caused by the construction of the Hoover dam in the US, but none of such a magnitude. As the Nippon tragedy unfolds, I happen to be visiting France, the land of nuclear energy. Do you know that since the end of the 1970s, France has built 58 reactors which produce 63 GW, a staggering 78% of the total electricity required by the country? Even as the news of Fukushima flashed in the media, a debate had begun: could such a disaster happen in France? Is it not a pointer to abandon the nuclear for ‘cleaner’ energies such as wind and solar? While in Japan many believe that the tragedy could send the world's third largest economy back into recession, in France, the ‘Greens’ led by Daniel Cohn-Bendit, the former leader of the 1968 student revolution and now European MP, demanded a referendum on nuclear energy. ‘Green ideology’ is one thing, running an industrialised country is another. We can however see some advantages in a serious debate: it can only help to clarify several points about the safety of the plants. One could regret the absence of Areva in the French debate. The French company perhaps believes that the question is far too serious to be discussed by ‘lay, ignorant’ people, but unless and until the true risks are explained to the ‘common man’ in a way he can understand, the discussion will (and should) go on. This comes soon after the Nuclear Power Corporation of India (NPCIL) and Areva signed a framework agreement for the construction of two Evolutionary Power Reactors (EPRs), to be followed by four more, at Jaitapur in Maharashtra (with a capacity of 1650 MW each). The accident in Japan might be ‘a big dampener’ on India’s program which plans to spend $ 175 billion on nuclear energy by 2030. However nuclear energy is still considered as the cleanest energy to sustain a 9% to 10% economic growth. The problem for India may not be earthquakes, as no seism of this amplitude has ever been recorded in Western India, but terrorism. Suppose a jihadist group hijacks a plane after take-off from Mumbai and manages to crash with full tanks in Jaitapur, will the structure resist such an impact? A top-secret document prepared by Electricity de France (EDF) in 2003 stated that the EPR plant could withstand the crash of a plane. 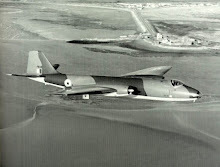 The calculations were based on the fall of fighter plane with an extrapolation for a civil plane such an Airbus; however, many were not convinced. Analysts have failed to note a third event linked to energy: it is the ratification of the 12th Five-Year Plan by China. The Middle Kingdom’s booming economy is the greediest ogre needing endless energy. 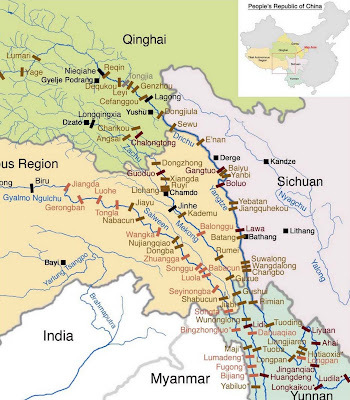 One of the solutions proposed by Beijing is to build dams on rivers originating in Tibet. China has already built more dams than any other country on the planet. Chinese know-how is even exported: Chinese banks and dam companies are involved in the construction of some 269 dams in 67 different countries, particularly in Africa and Southeast Asia …and PoK (legally an Indian territory). India of course does not want to be left behind, the business is too lucrative. A recent BJP report on the functioning of the Congress governments in the Northeast has equated the ‘hydropower project scams’ in Arunachal Pradesh with the 2G scandal. The Report alleges that since the Congress government came to power in 2004, some 137 MoUs were signed and awarded ‘to dubious companies’: “The hydropower scam in Arunachal Pradesh is one of the biggest scams of the region... The MoUs have been signed flouting all procedures and norms set by the Union power ministry,” says the Report, adding that “hydro power projects totalling 70,000 MW and worth Rs 400,000 crore were signed in a short period.” Same thing in China. Today, in the name of global warming and environment protection, the powerful development lobbies are back with a vengeance. Wang Jian, a river specialist from Beijing who visited sections of the major rivers in December told the Global Times that smaller projects, which do not need Central Government approval, have burgeoned, "They are as dense as the stars in the sky", he said. The building of dams on the Salween, Mekong or Brahmaputra also has strategic consequences. Everybody seems to have forgotten that on August 15, 1950, one of the most powerful earthquakes of the 20th century, with a magnitude of 8.7, occurred in Tibet. The young Dalai Lama who was then in Lhasa wrote in his biography: "It was like an artillery barrage – which is what we assumed to be the cause of both the tremors and the noise: a test of some sorts being carried out by the Tibetan army…"
Another witness was Robert Ford, the British wireless operator working for the Tibetan government in Eastern Tibet. He remembered: "This was no ordinary earthquake; it felt like the end of the world. Mountains and valleys exchanged places in an instant, hundreds of villages were swallowed up, the Brahmaputra River was completely rerouted and for hours afterwards, the sky over the south-eastern Tibet glowed with an infernal red light, diffused with the pungent scent of sulphur." Now the governments of China and India are planning mega-dams in the same area. Beijing even speaks of cascades of hydropower stations. The situation is extremely worrisome especially after 87,000 died in the earthquake in Sichuan in 2008 (the Chinese geologists now admit that it was due to the weight of the reservoir of nearby Zipingpu dam). An earthquake on the Brahmaputra or one of its tributaries could destroy any of these dams. As the result, millions would be washed away in Arunachal, Assam and Bangladesh. While the earthquake and tsunami in Japan will hopefully trigger more research and inject some new 'thinking' in the brains of the 'deciders', nobody is thinking of the consequences of a seism in Tibet. While the US Administration once again shows double standards in terms of nuclear proliferation and supports rogue States such Pakistan, the Chairman and Managing Director S K Jain State-owned NPCIL told reporters at Kalpakkam Atomic Power station that "NPCIL is under no compulsion that just because you have entered into a governmental agreement, you have to sign an agreement with Areva. I will buy the reactor at my terms which are very clear and that are technically acceptable to me." Does it mean that NPCIL does not care for the two agreements signed by the Governments of India and France in December 2010 — general framework agreement and an early works agreement — for construction of two of Areva's Evolutionary Power Reactors of 1,650 megawatts each in Maharashtra. It is also surprising to hear a Government servant declaring "I will buy". The agreements are between two sovereign nations, not individuals. Of course, it does not mean that both parties are exempted to negotiate a detailed contract involving all parties including contractors and sub-contractors (keeping in mind the recent nuclear accident in Japan and the Nuclear Liabilities Bill). The framework agreements signed in December cover supply of nuclear fuel for 25 years at Jaitapur site for two 1,650 MW reactors (and eventually for six). Jain added: "I cannot purchase that costly power otherwise the company would become bankrupt." Fixing the price of the energy is one of the many objectives of the negotiations; nobody has asked Mr Jain to go bankrupt. NPCIL has quite a childish Chairman. It is not of good omen for the future collaboration between India and France in Maharashtra. In the meantime, Pakistan is going ahead with Chinese technology. The United States has indicated it will not oppose China's building of two nuclear reactors in Pakistan, and will give Beijing a pass on its non-proliferation commitments by allowing the deal to go ahead in spite of concerns that it will violate international guidelines governing nuclear trade. 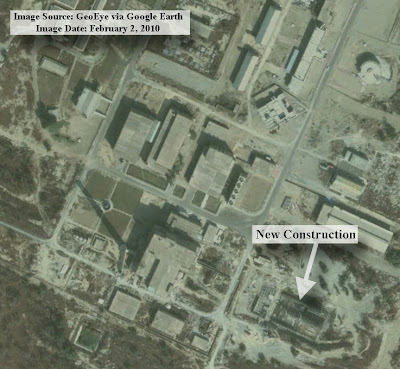 Last week, the International Atomic Energy Agency (IAEA) gave its approval to a safeguards agreement for two new reactors that China is building at Chashma. The deal, many countries say, goes against China's commitments as a member of the Nuclear Suppliers Group (NSG), which bans the sale or transfer of technology to countries that have not signed the Nuclear Non-Proliferation Treaty (NPT). U.S. Assistant Secretary for South and Central Asian Affairs Robert Blake told journalists here he did not bring up the deal during talks with Chinese officials this week on South and Central Asia. While he reiterated the U.S. view that the deal was “inconsistent” with China's NSG commitments, he also mounted a defence of the need for the deal in a briefing with reporters, linking it to an energy crisis and instability in Pakistan. While the American position was that the construction of the two new reactors, Chashma 3 and 4, would be “inconsistent” with China's NSG commitments, the U.S. had “also been very clear on the need to support Pakistan's energy development,” he said. Mr. Blake's comments mark a shift in the U.S. position over the deal, suggesting that the U.S. will neither oppose the deal nor question China over its NSG commitments. Only last year, during a visit to Beijing in May, Mr. Blake stressed “it would be important that China seek the exception from the NSG,” just as the U.S. did for its deal with India. The NSG granted an exemption for India's civilian nuclear cooperation with the U.S. to go ahead in 2008, but only after more than three years of difficult negotiations and after India took on a range of commitments. 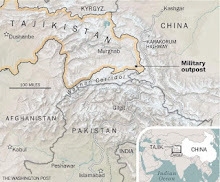 But in recent months, the U.S. has appeared to shift its stand, amid pressure from Pakistan for a similar civilian nuclear deal and a move to bring back on track its ties with China. Following a strained year, the U.S. has been working to mend fences, also seeking Chinese support on North Korea and Iran. Mr. Blake said on Friday the U.S. would also seek to work closely with China on South Asia. 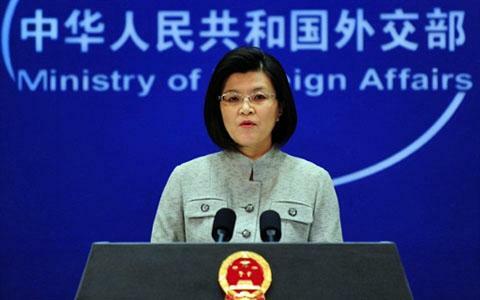 The U.S. believed that “coordinating our efforts in the region with major actors like China” was “very much in our own interest,” he said, adding that he welcomed China playing “an important role” in the region. “We want to see the growth of our relations with India, our relations with China, and India's relations with China,” he said. Last December with reference to some Wikileaks cables, I mentioned on this blog the 'Massacre of the Bakhor' monitored by the Party Boss in Tibet, Hu Jintao. Yuan Hong Bing, a Chinese dissident now affirms that Hu killed the Panchen Lama a couple of months earlier. We will have to wait for the release of his book, To the Summit of Firmament – Crossing the Himalayas to know more details. In the meantime, you can watch the way, Hu is receives in Paris. Gaddafi must be jealous. On 5 March Last year, three months before Tiananmen square, the People's Armed Police knew it had been given the right to kill. China's paramilitary force was marching into the centre of Tibet's capital, Lhasa, to begin a massacre that continued for days, leaving more than 450 monks, nuns and civilians dead. Thousands more were arrested and many tortured. "They knew the Tibetans were not armed as they were, and they knew they were free to kill them," said Tang Daxian, an official reporter for some of China's highest organisations. On the basis of secret official reports made available last week to The Observer by Tang, it now appears that the massacre in Tibet was provoked by members of the armed police dressed as .Tibetans. The disguised police-whose purpose is to crush civil disorder-attacked and burned shops, offices, and stores, providing the authorities with the excuse that they were dealing with hooligans who threatened civil order. Martial law was declared in Lhasa on 8 March. On 2 May it was imposed in Peking, the first move before the killings of3-4 June which smashed the Tiananmen demonstrations. For years, Chinese who complained of government oppression had approved of it in Tibet on the grounds that Tibetans were unruly and ungrateful. After Tiananmen, they realised that for years Tiananmen had been prefigured in the streets of Lhasa. But the extent of the killing was not known. It was 387 days until martial law in Lhasa was lifted, and little news seeped from the region. 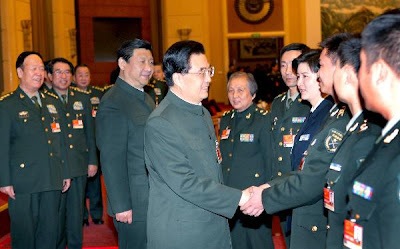 On 30 April this year, Tibet's Communist Party Secretary, Hu Jintao, who has since been removed, reportedly for not being tough enough praised the martial law troops for their 'immortal deeds' in maintaining order in China's largest minority area. Tibetans have resisted the Chinese since their invasion of the country began in late 1949; the occupiers insisted then, as now, that Tibet has belonged to China for centuries. The recent spate of uprisings began in late 1987, when police shot dead at least eight demonstrators in the Barkhor, Lhasa's central market, which surrounds the country's holiest shrine. The demonstrations have become larger and more tumultuous and the repression more violent But Western experts on current affairs in Tibet, such as Robbie Barnett of the London based Tibet Information Network, admit that they discounted as exaggerated Tibetan reports of great killing, especially on 6 March last year, or the account of piles of bodies by a Western businessman, one of the last foreign witnesses in Lhasa. Such accounts now appear to have been accurate. What has also been unknown until now was that the Armed Police themselves, by impersonating Tibetan hooligans, had provoked the massacre. Equally new are Tang's revelation of the criticisms-even within the Chinese controlled Tibetan bureaucracy, long before the March killings-of the behaviour of the Armed Police and of their violence and corruption. For Tang Daxian, events leading up to the March massacre began early on the morning of 7 February, when 'the people of Lhasa woke up to see fluttering above the Jokhang the flag of the snow lions and the snow mountains, the forbidden symbol of Tibetan nationalism. According to Tang, this act of nationalist defiance alarm Tibet's regional leaders and, more significantly, Peking, where it was brought to the attention of supreme leader Deng Xiaoping, communist party boss Zhao Ziyang, President Yang Shangkun, and Prime Minister Li Peng, the four men who would play the decisive roles in the Tiananmen massacre in early June. Zhao was sacked for alleged complicity in the Tiananmen uprising, but in February he did not hesitate. 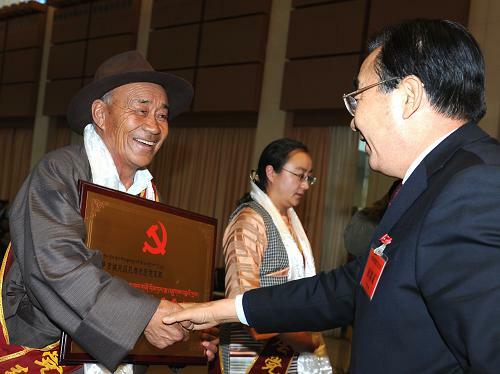 He signed a cable to Lhasa, on behalf of Central Committee, ordering 'severe preventive measures'. To underline the importance of this instruction, Zhao's fellow Standing Committee member, Qiao Shi, dispatched a seven man 'work team' to Lhasa, with instruction to take command of the People's Armed Police, who within a month would be slaughtering Tibetans. Tang saw the cable and the accompanying analysis of the situation from the State Security Bureau and the United Front Department, in which his father has once been a key figure. He heard that Qiao had made at least three urgent telephone calls to Lhasa. During the next two days the Armed Police occupied the Jokhang temple, where the flag had already disappeared, and arrested 20 of the monks. This fined the beliefs of the hard-line faction in the Lhasa bureaucracy which, Tang says, believed that the religious elements were stirring up anti-government feelings spurred on by the exiled Dalai Lama. 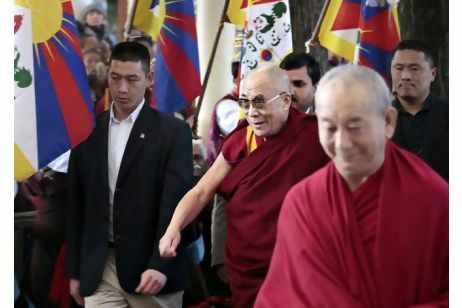 This faction, Tang suggests, was opposed by a second group that counselled less emphasis on religious matters, a more positive approach to the Dalai Lama, and above all expressed "concern about the lack of discipline within the Armed Police." This group's main ally had been the Panchen Lama, Tibet's second highest religious figure. 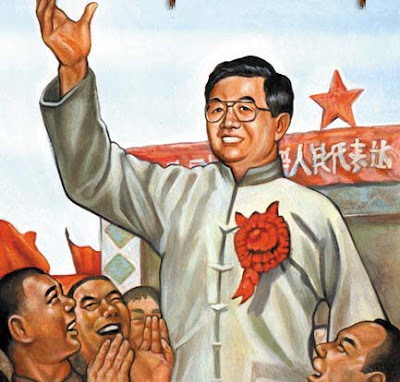 Although under Chinese control for decades, he had exercised a moderating influence on discipline since 1980. But the Panchen had died in late January, the crackdown increased, and by mid-February "the atmosphere in Tibet had become extremely tense; with disturbance throughout the region. "Amid the curses and complaints," Tang says, "the rule of the Chinese Communists had led to a powerful resistance. It was this that led, on 2 March 1989, to the curtain rising on tragedy." Armed Policemen who on other occasions had killed Tibetans. A scuffle broke out between the crowd and 200 plainclothes police, whose headquarters faces the Jokhang. Before long monks were shouting "Dalai Lama back to Tibet" and "Power back to the Tibetans", while members of the rapidly increasing crowd cried "Down with the corrupt Chinese government." But the confrontation ended without violence. 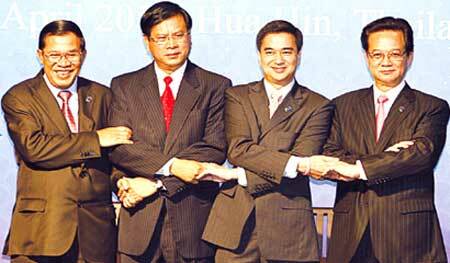 From dawn on 3 March to midnight the next day, Tang reports, party and military leaders discussed the deepening tension. According to the notes of the meeting and its taped discussions, he says, the army attacked the Armed Police for their "lack of discipline" which was held by the soldiers to be "a significant cause" of the disturbances in Lhasa. This analysis was followed by recommendations from the central government: the Public Security Bureau should find a way out of the crisis, "avoiding large-scale bloodshed," and the army should maintain security in Lhasa. No recommendations mentioned the Armed Police. This local government analysis was bolstered by "a detailed and highly critical report." 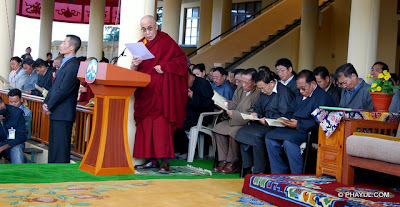 This said that no officials "had heeded to the complaints of the people" that investment in education and religion had been forced and the Chinese entrepreneurs were threatening the Tibetan economy. It said that discipline within the Armed Police "had led to serious dissatisfaction among the majority of the people." It also specifically accused the Armed Police of corruption. Tibet cannot be performed by others "
By the morning of 5 March the Armed Police had received orders entitled 'Fighting Mobilisation Instructions' from their commander in Peking, General Li Lianxiu. In addition to specifying how the police should deploy, he gave the order which created the excuse for the massacre: "The Special Task force should immediately produce 300 people dressed as ordinary citizens and monks. They are to co-operate with the plainclothes police to complete the task of creating a provocative atmosphere along the Backhor on the morning of 5 March. Their task was to bum down the Darshing prayer pole on the north-east of the Jokhang temple; to destroy and ransack the granary in Chenguan district, provoking citizens to steal the grain, and provoking people to rob the Tibet-Gansu Commerce Corporation of its goods; not to create disturbance in other areas and locations part from these specified." These orders, it was made clear, "must be kept secret from other co-operating units involved. Anyone violating these orders is to be severely punished." Despite the secrecy, on the same morning a cable was sent from regional officials to Peking begging the army to take over and prevent the police from making matters worse. But although the 52nd regiment was only 187 miles away, it was too late. Ten thousand police were ready for action and, in Tang's view, “they had been given the right to kill." By 12.15 pm, police had thrown bottles from rooftops, a Tibetan threw a stone, and the police had shot two people. Thousands of Tibetans, shaking their fists, marched behind their illegal flag. By 1 4O pm, Tang says, the Darshing prayer pole had been set alight by armed police dressed as hooligans, and when an outraged crowd gathered, weeping at the sight, police fired, killing eight. Other armed police entered the Barkhor firing tear gas, but were forced to withdraw by the crowd. At 3.10 pm an order was issued delaying further operations because of foreign witnesses. The disguised police set Chinese premises on fire. He took photographs of a policeman he knew, dressed as a monk, burning an overturned car. By daybreak on 6 March almost all foreigners had been isolated in the Holiday Inn and the police were ready to attack the centre of Lhasa. Their orders included: all units to stand by for the attack on the Barkhor area at round 10 am; the Armed Police were to be ready for action and to arrest hooligans. If they resist, they should be killed. According to Tang more than 450 people were killed within a brief period and more than 3,000 arrested. Although he saw much of the action, the number, he emphasises, come from the police themselves, although they were never made public. Most of the bureaucracy was shocked by the police violence which was held to have "planted a time bomb." By the evening of 6 March, the public security bureau withdrew 3,000 men. At noon the next day they warned the Armed Police that the killing must stop. On the afternoon of 7 March, during an attempt to arrest two Tibetans, in which one was killed, a policeman accidentally shot dead a colleague. Their officer instantly killed the remaining Tibetan and ordered his men to say that the dead man had shot their comrade. As Tang was to learn from his contacts within the police this allowed them to publish a picture of a dead Tibetan 'murderer' together with pictures of ancient Tibetan rifles next to bullets which plainly did not match. Even Qiao Shi "lost his nerve and denounced the Armed Police for their stupidity... he) ordered that reports based on fabricated evidence be withdrawn from publications as soon as possible." Tang was present at the Lhasa television station when the police arrived to retrieve the pictures. But although 'the joke' had by now spread through Lhasa, on the evening of 7 March local party boss Hu Jintao proclaimed that "the Armed Police, following the instructions of the Central Committee (which was true), had maintained the unity of the motherland," and warned too that the majority of Tibetans who had joined the disturbance...must be made to feel guilt and promise they would never do so again. The killing had been extensive. 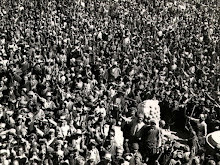 On 11 March, the Public Security Bureau and the Tibet Ministry District Command reported the numbers to the Tibet Party Committee: "Prior to 10 March, 387 Lhasa citizens have been killed the majority by bullets, 721 were injured, 2100 have been arrested or detained...354 have disappeared... 82 religious people have bee killed, 37 injured, 650 arrested or detained." From the evening of 7 March, Tang remembers, "cries were heard all over Lhasa" and many Tibetans working in Lhasa's party and government offices, whose relatives had been killed, wounded, or arrested, attempted to get permission to resign. At the Paris headquarters of the Chinese Democratic Front, formed by political refugees after Tiananmen, dissident leaders such as Wuer Kaixi and Wan Runnan are ever on the alert for informers and spies. Their confidence in Tang Daxian' s background and Tibetan experience is echoed by University of Paris specialists and experts from human rights organizations. They also cannot risk their reputations by falling for bogus information. Tang is well connected in Peking, a member of what he describes as a family of "high cadres." In the Fifties, his father, Tang Hai, who is remembered by Tibetans close to the Dalai Lama, was the head of the Tibetan section in the United Front Department, which overseas non-Communist Party organizations. Tang spent three years in prison, beginning in 1975, for writing and distributing anti-Mao leaflets. He was' eventually declared innocent. After training as a journalist he began to visit Tibet in 1983, sometimes as many as three times a year. He rented a flat in Lhasa. Tang, 36, who has been living in Paris since mid-May last year, is writing a doctoral dissertation on Chinese ethnic minorities. Although he had been planning to study in France, his trip was accelerated by police advice that he might be arrested for his role in the Tiananmen demonstrations. Tang had furnished high-level information to protesters about debates within the supreme leadership on how to handle the uprising. A gaunt, deep voiced man, with short hair and an unusually unshaven face for a Chinese, Tang was last in Tibet in early 1989, representing the Chinese journalists' Association, and writing reports for the religious affairs department of the State Council, the United Front department and the Office of National Minority Affairs, plus internal reports for his own association. Because of his official duties and family connections, Tang had access to official documents and letters (some seen by The Observer) and notes of key meetings, interviewed officials and saw copies of top-level cables from Peking. He witnessed the demonstrations and the killings and took both still and video pictures. 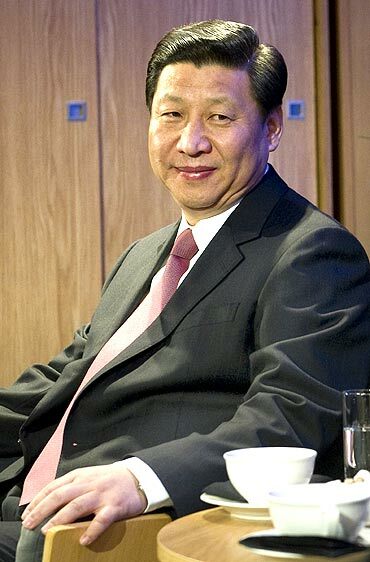 Why has he destroyed any chance of returning to China during the present or similar successor regime by making public what he has known and under his name? Tang has already done the politically unforgivable, in the eyes of Deng and his colleagues, by briefing the Dalai Lama, but his views on the ultimate independence of Tibet remains uncertain, although he is convinced that almost all Chinese should leave the region. 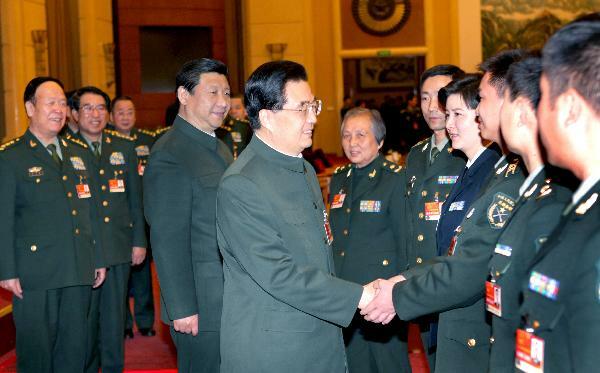 President Hu Jintao, the Chairman of Chinese Central Military Committee told a PLA delegation: "Speed up military preparedness, resolutely safeguard the nation's sovereignty, security, and interests, and resolutely safeguard the current important period of strategic opportunity for China’s development". Let us hope that the message will also be heard in India. An article quoting me was published in The National (Tibetans face life without Dalai Lama as political leader): "To Tibet-watchers, the Dalai Lama's statement came as no surprise. 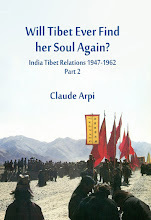 As Tibet expert Claude Arpi noted, the Dalai Lama had for years been preparing the ground for his eventual departure from the forefront of the campaign for an autonomous Tibet. My article Will Xi Jinping bring reform to China? is posted on the site of Rediff.com. With the Nippon tragedy rapidly unfolding, Naoto Kan, the Prime Minister of the Land of the Rising Sun, announced that the levels of radioactivity have again risen in the Fukushima nuclear power plant. 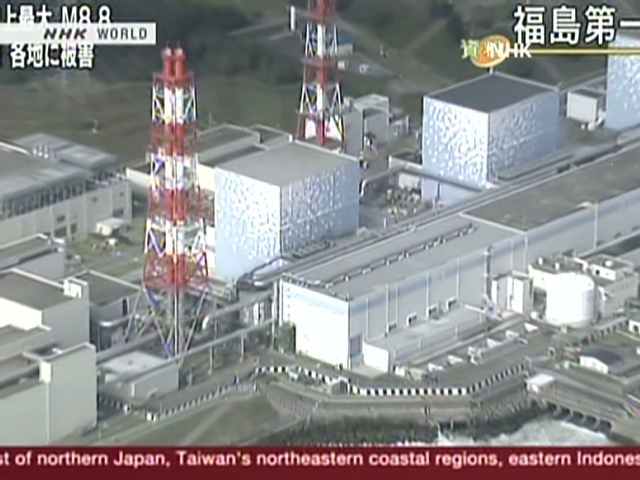 The population has now been evacuated from a zone of 30 km around the nuclear facilities. In an address to the nation, Naoto Kan declared:"We are making every effort to prevent the leak from spreading. I know that people are very worried, but I would like to ask you to act calmly." Luckily, the Japanese are among the most composed and disciplined people on the planet. Authorities admitted that four explosions have already occurred at the plant since the massive earthquake (followed by a tsunami) struck the Japanese coast last week. The plant’s operator Tokyo Electric Power Co announced that the Fukushima reactor No.2 has become the main concern for the engineers, while the fuel rods of reactor No.1 and No.3 reactors have partially melted. For Kan, Japan faces its worst crisis since WW II. Many believe that the tragedy could send the world's third-biggest economy back into recession. As a result of the catastrophe, Japanese stocks have plunged to their lowest level in nearly two years ($500 billion loss for the market). I happen to be in France, the land of nuclear energy, when the tragedy has occurred. Since the end of the 1970’s, France has built 59 reactors producing 63 GW, a staggering 78% of the total electricity required by the country. Soon after the news of Fukushima started flashing on our TV sets, a hot debate began on French national media: can such a disaster happen in France? Is it not time to abandon the nuclear for ‘cleaner’ energies such as wind and solar? The ‘Greens’ led by Daniel Cohn-Bendit, the former leader of the 1968 student revolution and now European MP, demanded a referendum on nuclear energy. ‘Green ideology’ is one thing, running an industrialised country is another; we can however see many advantages in a serious debate: it can only help to clarify several points about the safety of the plants, though the seismicity level in France is not the same as Japan’s and the third generation reactors are far safer than the ones in use in Japan. One could regret the absence of Areva in the French debate. The French company perhaps believes that the question is far too serious to be discussed by ‘lay ignorant’ people, but unless and until the true risks are explained to the ‘common man’ in a way he can understand, the discussion will (and should) go on. Another issue is that Anne Lavergeon, the Chairperson of Areva is due for reappointment by President Sarkozy as her term finishes in June; to engage in such slippery discussions may be risky for her future career. This comes soon after the Nuclear Power Corporation of India (NPCIL) and Areva signed a framework agreement for the construction of two Evolutionary Power Reactors (EPRs), to be followed by four more, at Jaitapur in Maharashtra (with a capacity of 1650 MW each). Shreyans Kumar Jain, chairman of the NPCIL immediately admitted that the potential meltdown in Japan might be ‘a big dampener’ on India’s program which plans to spend $ 175 billion on nuclear energy by 2030. The accident has also become a major factor for China; both nations consider that nuclear energy is still the cleanest energy to sustain a 9% to 10% economic growth. The problem for India may not be earthquakes, as no seism of this amplitude has ever been recorded in Western India (it is not the case in Arunachal Pradesh where the government is planning mega-dams), but terrorism. Suppose a jihadist group hijacks a plane after take-off from Mumbai and manages to crash with full tanks in Jaitapur, will the structure resist such an impact? It depends of course on the design provided by Areva, but also on the construction of the concrete slabs and walls monitored by NPCIL. One can only hope that no ‘CWG techniques’ will be used for the construction. In the meantime, Germany and Switzerland have declared a moratorium on new nuclear plants. Can India afford it? One thing India can do is to invest heavily in research on thorium technology; it might be a safer solution. At 14:09 hrs on August 15, 1950, one of the most powerful earthquake of the 20th century occurred in Tibet. According to a Report of the US Geological Survey: “At least 780 people killed and many buildings collapsed in the Nyingtri (Rima, Zayul) area of eastern Tibet. Sandblows, ground cracks and large landslides occurred in the area. In the Metok area, the village of Yetong slid into the Yarlung Zangpo (Brahmaputra) River and was washed away. The quake was felt at Lhasa and in Sichuan and Yunnan Provinces, China. Severe damage also occurred in the Sibsagar-Sadiya area of Assam, India and in the surrounding hills. About 70 villages were destroyed in the Abor Hills, mostly by landslides. Large landslides blocked the Subansiri River. This natural dam broke 8 days later, creating a wave 7 m (23 ft) high which inundated several villages and killed 536 people. 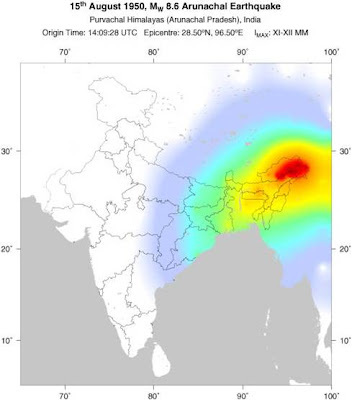 The quake was felt as far away as Kolkata. Many sources call this the Assam-Tibet earthquake or even the Assam earthquake, even though nearly all place the epicenter in Tibet. Thus it is possible that the casualties for Tibet are not included in the total, as well as those from the Subansiri River flood. Furthermore, Gu et al. do not give casualty totals for Yetong or other areas of the most severe damage in Tibet. Therefore, the actual casualty toll may be much higher than the value given." The magnitude of the earthquake was 8.6 or 8.7. The young Dalai Lama who was then in Lhasa wrote in his biography: "It was like an artillery barrage – which is what we assumed to be the cause of both the tremors and the noise: a test of some sorts being carried out by the Tibetan army… Some people reported seeing a strange red glow in the skies in the direction from which the noise came…." A few days later, Jawaharlal Nehru, the Indian Prime Minister visited Assam south of the epicentre in Tibet. He noted: "As a result of the landslides, rivers were blocked up for a while, and when they broke through, they came down with a rush and a roar, a high wall of water sweeping down and flooding large areas and washing away villages and fields and gardens. These rivers have changed their colour and carried some sulphurous and other material which spread a horrible smell for some distance around them. The fish in them died. The remains of villages, animals, including cattle and elephants, and large quantities of timber floated down these raging waters." Though extremely worrisome, the situation described in the China Daily about new dams on the Salween river would probably far more catastrophic than an earthquake in Nyingtri area, mainly because of the larger dams on the Brahmaputra and its tributaries: millions would be washed away in Arunachal, Assam and Bangladesh. One healthy development: the Chinese media has started mentioning these issues. It is good and necessary before it is too late. The earthquake and tsunami in Japan will hopefully trigger more researches and inject some 'thinking' cells in the brains of the 'developers'. Not sure, because the greediness of the politicians has no limit. BEIJING - The 5.8-magnitude earthquake that struck Yingjiang county, Yunnan province, was a deadly reminder that local officials should be careful in planning hydraulic power projects for the Nujiang River valley in the province. Wang Jirong, a member of the Standing Committee of the 11th National People's Congress (NPC), has prepared a proposal calling for the central government to "pay attention to the special and complex geological and seismological conditions in the Nujiang River valley and take caution in making decisions about hydraulic power development there." Even so, Hou Xinhua, an NPC deputy and head of the Nujiang Lisu autonomous prefecture, is asking the central government to hasten the construction of a hydraulic power project along the Nujiang River's main stream. Consisting of a reservoir and four dams, the project is to be capable of generating up to 180,000 kilowatts. Nujiang River is one of the longest free-flowing rivers in the world and is one of the Three Parallel Rivers listed as a world nature heritage in June 2003. It flows to Myanmar, where it is called Salween, and to Thailand, where it is called Salawin. Despite the river's physical grandeur, the Nujiang valley is one of the least-developed areas in China. According to the statistical bureau of the Nujiang prefecture, more than 80 percent of the 510,000 people who live there are farmers in mountainous areas. The valley itself lacks much in the way of flat fertile land. But its sharp vertical walls and abundant water supply make it nearly ideal for generating hydraulic power. "People in Nujiang prefecture live on the fringe of poverty according to the new national poverty line, which was set at 1,196 yuan ($182, annual income)," Hou told China Daily, adding that poverty is prevalent among more than 90 percent of the members of the small ethnic groups in China. 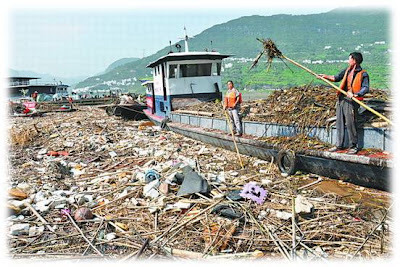 "We should be able to scientifically develop (hydraulic power) while protecting the environment," Hou told China Daily. He said the project and the power it generates will improve the local economy and residents' standards of living, while increasing China's use of renewable energy. "The people in Nujiang hope to push forward with the hydraulic project," Ma Zhengshan, an NPC deputy also from Nujiang, told China Daily. Ma, deputy secretary-general of the prefecture government, said about 120,000 local people will be relocated if the project is approved. Ma said close to 500 scientists have studied the valley. Wang Jirong, who is also vice-chairwoman of the NPC's Environment Protection and Resources Conservation Committee, said that a series of national studies have revealed that the area is especially prone to geological and seismological disasters. There is a consensus that the area's geological conditions are complex, Wang said. But those who favor pursuing the generation of hydraulic power argue that they can still find "solid ground" for such a project. "My question is: Can a lot of cement do anything about instability deep down in the earth's crust?" Wang said. "We must be able to make clear the connections between one location and the whole region." Above all, decision-makers should consider what harm a geological or seismological disaster of the worst proportions imaginable would do to the proposed project, she said. In the 1980’s, the American agronomist Lester Brown wrote Who Will Feed China in which he studied the cases of Japan, Korea and Taiwan. The conversion of agricultural land for other uses (factories, residential areas, airports, roads, flyovers, etc…) had provoked the loss of 52% of Japan’s grain harvested areas, 46% of Korea’s and 42% of Taiwan’s, while more and more waters were being used for industrial purposes. Brown deducted that the same process will occur in China and ultimately China will be unable to feed its own people. A real nightmare for Beijing! But ultimately the problem will be the lack of water to irrigate and to ...drink. This is confirmed by this report of the National Development and Reform Commission (the Chinese Planning Commission). It is why China needs Tibet. But as the Sichuan earthquake has shown, the big dams are as dangerous as the nuclear plants (if not more) for the downstream populations. Let us hope that the tragedy in Japan will trigger some reflection in India as well as in China where Areva is setting up nuclear plants (EPR technology). At the same time, the 'greens' who are occupying the TV studios to lecture us against the nuclear technology, do not seem to have a balanced opinion. They are led by an one-sided 'anti-nuclear' ideology, which is unable to solve any energy problem. A more scientific approach is required and perhaps more sustainable consumption patterns. And the so-called clean hydropower energy is probably more dangerous than the nuclear. Nuclear Power Corporation of India Ltd (NPCIL) is hopeful of signing a techno-commercial agreement with France''s nuclear group Areva SA this month or in the following one. "We expect to sign the final agreement on scope of work for Areva for building the two reactors at Jaitapur and cost will be signed within March-April," NPCIL Chairman and Managing Director S K Jain told PTI. The state-owned nuclear power company expects to begin work on 9,000 MW Jaitapur power plant at Maharashtra shortly after the agreement. In December last, both NPCIL and Areva had signed two agreements comprising a "general framework" agreement and an "early works" agreement for the construction of two of Areva''s Evolutionary Power Reactors, or EPRs, of 1,650 megawatts each in Maharashtra. The agreements also covers the supply of nuclear fuel for 25 years at the Jaitapur site, which is expected to eventually have six of the 1,650 MW reactors. India aims to expand its nuclear power generating capacity to 63,000 MW by 2032 from around 4,000 MW now. On agitation against setting up of the nuclear power plant at Jaitapur, NPCIL officials termed the "opposition as more of a political rather than opposition from the local people". "As the ruling Maharashtra government is in favour of the project, opposition are trying to take political mileage by opposing it," they said. A blast at a nuclear facility in Japan after a record earthquake may become a factor in China’s drafting of future energy plans, a top planning official said. China may consider the effects of the nuclear accident as it finalizes its energy plans for the 2011-2015 period, Xie Zhenhua, vice chairman of the National Development and Reform Commission, said in Beijing. Radiation at the Fukushima Dai-Ichi plant exceeded Japanese limits after an explosion yesterday destroyed the wall of the reactor building and injured workers following Japan’s strongest earthquake on record. “Evaluation of nuclear safety and the monitoring of plants will be definitely strengthened,” Xie said today, while attending the closing of the Chinese People’s Political Consultative Conference. China, the world’s biggest polluter, is building more nuclear reactors than any other nation in an effort to cut emissions and protect its environment while trying to maintain economic growth. The country is tripling the number of reactors, building 27 units to add to the 13 that are already operational, according to the London-based World Nuclear Association. An explosion at Tokyo Electric Power Co.’s Fukushima Daiichi No. 1 reactor, which had begun venting radioactive gas after its cooling system failed, injured four workers yesterday. The utility reported no damage to the building housing the reactor. It began flooding the reactor with sea water and boric acid today to prevent a meltdown and eliminate the potential for a catastrophic release of radiation. China won’t change its plans to develop nuclear power after the Japanese earthquake, Zhang Lijun, vice minister of environmental protection, said yesterday. 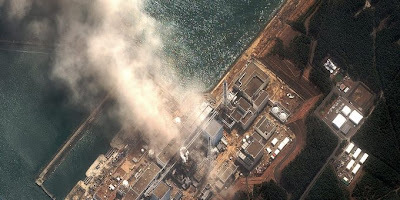 Global expansion of nuclear power may draw more scrutiny and skepticism as the world watches Japan struggle to prevent a meltdown at the reactor damaged by the earthquake, said Peter Bradford, a former member of the U.S. Nuclear Regulatory Commission. There are 442 reactors worldwide that supply about 15 percent of electricity, the World Nuclear Association said. There are plans to build more than 155 additional reactors, most of them in Asia, and 65 reactors are currently under construction, the association said on its website. China has pledged to cut carbon emissions by switching to clean energy such as nuclear and wind power. It wants at least 15 percent of its energy mix to come from non-fossil fuels by 2020 and is building more atomic plants to help meet that goal. The government may approve 10 additional nuclear power projects during the 12th five-year plan which covers the period from 2011 through 2015, the China Daily reported Jan. 26, citing Zhang Guobao, former director of the National Energy Administration. China is expected to raise its 2020 target for nuclear power generation to 86 gigawatts, accounting for 5 percent of China’s total power generation, the newspaper reported, without citing anyone. The country is also studying specific measures to control total energy use and conduct carbon-trading trials during the next five years, Xie, who is also the nation’s top climate negotiator, said today, without elaborating. Padma Choling, alias Pema Thinley, the 'Chairman' of the Tibetan Autonomous Region told the National People's Congress: "More importantly, we have to make people happy". Is it an admission that sixty years after the 'liberation' of Tibet, the Tibetans are still not 'emancipated' and are still unhappy. 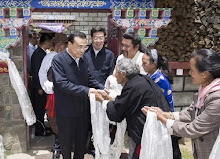 Padma Choling quotes President Hu Jintao: "Meticulous efforts must be paid to the tasks of reform, development and stability to boost leapfrog development and maintain perennial stability in Tibet". The 'stability' of the region seems to obsess the leadership in Beijing. Why? Simply because the'masses' like in Tunisia or Egypt are 'unhappy'. Will the new lollipops announced during the National Congress make them happy? It is doubtful. In the meantime, the Communist government in Lhasa has decided to stop the visit of foreign visitors on the Roof of the World. Zhang Qingli, the Party chief of Tibet who is attending the annual parliament session in Beijing found a great excuse: "The temporary measures on restricting foreign tourists to Tibet were mainly due to the current cold winter weather, limited accommodation capacity and safety concerns, a high-ranking official said on Monday. The plateau region is still in deep freeze in March and lots of religious activities will be held." Beijing has a serious problem with the political climate! BEIJING - Tibetans are being urged to embrace the opportunities that development will bring to their region, said the chairman of the Tibet autonomous region. "Tibetans should fully take advantage of the region's development," said Padma Choling, who is also a deputy of the National People's Congress (NPC). "Now that the transportation infrastructure in Tibet has been dramatically improved in recent years, I hope they will go out more, instead of staying at home, so they can earn more income." And Padma Choling said he is hoping Tibetans become more proactive in the years to come. "They are being encouraged to be more open-minded toward new things, such as running their own business or even working outside of the region," he explained. President Hu Jintao on Sunday said Tibet must maintain social stability and push forward reform to achieve sound development. "Meticulous efforts must be paid to the tasks of reform, development and stability to boost leapfrog development and maintain perennial stability in Tibet," Hu told the Tibetan delegation to the NPC. Hu stressed the fostering of the region's peculiar and competitive industries, development of modern agriculture and animal husbandry, improving infrastructure and environmental protection in achieving leapfrog development. The president was with the Tibetan delegation to deliberate a government work report and the country's new five-year plan delivered at the fourth session of the 11th NPC. The autonomous region's government has recently launched a program aimed at helping people purchase vehicles in order to start up passenger transportation businesses. The project calls for the government to cover some of the cost of the vehicles and pay for fuel during the first year. "To ease people's fears, we have to help some make the first step and help them enjoy success, then others will follow," Padma Choling told China Daily in an exclusive interview. He said the region's government helped arrange work for more than 20 Tibetans in coastal Guangdong province last year under a pilot program. "After seeing how much money those people made and how pleasant their experiences were, some villagers who used to be afraid of working elsewhere decided to give it a go," he said. "Although Tibet has achieved fast development in the past five years, it is now transforming from fast development to comprehensive development." Padma Choling said that, in the next five years, Tibet's priority will be to improve people's livelihoods and ensure everyone benefits from the development. "More importantly, we have to make people happy," he said. "For Tibetans, happiness means living a safe and comfortable life." The farmers and herders that make up 80 percent of the region's population earned around 3,990 yuan ($607) each last year, which was a lot less than the national average earned by farmers of 5,919 yuan for the year. Padma Choling said raising people's standard of living will be an important priority. The first step in achieving that will be to settle people down so they can have a safe place to live and ensure they can receive free medical care and education, he explained. Tibet is expecting to encourage farmers and herders to end their nomadic lifestyles within three years and then plans to ensure people's incomes increase by developing a more complex economy that extends beyond agriculture. As a relatively undeveloped region, Tibet has received 7.57 billion yuan in aid from inland places as well as government organizations during the past five years. State-owned firms and other institutions have also been helping with the autonomous region's development. A total of 2,661 officials and professionals from other parts of China have worked in Tibet for periods of one to three years to encourage more technological and management expertise. The Dalai Lama has announced that he will retire from active politics. Nothing new. In an interview in 2006, he told me about his motivations: "I have three commitments: promotion of human values, promotion of religious harmony and promotion of awareness of Tibetan cause. Is there an order in these commitments? Yes, it is in this order. First, as a fellow human being, promotion of human values is my first priority, this covers 6 billions of human beings. The third one is about Tibet. There is 6 millions of Tibetans and if you take the Tibetan environment, there are more than 100 millions of human beings dependent on Tibet. 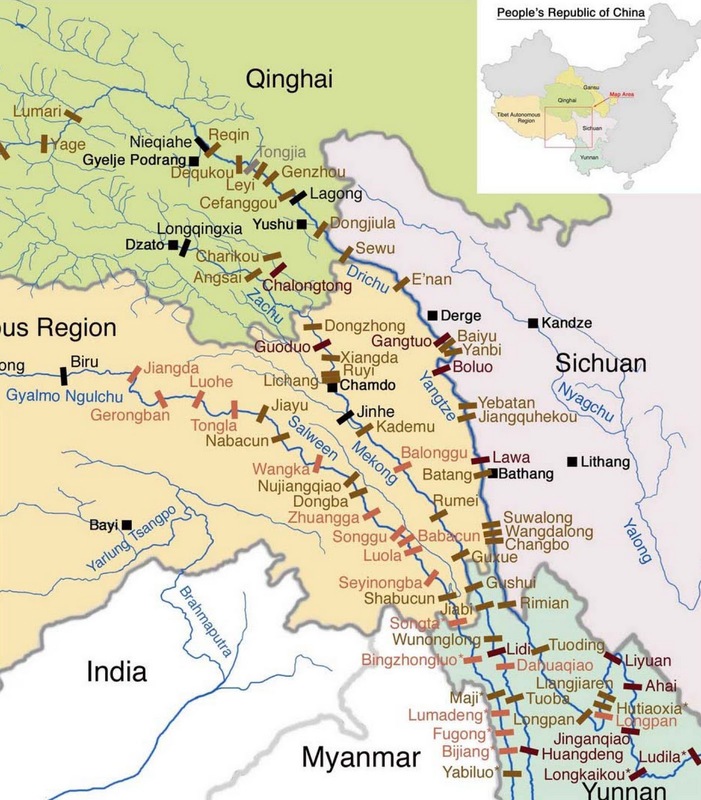 North India, Pakistan and Bangladesh depend on river flowing from Tibet: (Ganga, Brahmaputra) then Mekong in Indochina, and in China, Yellow River, Yangtze and many others rivers. But my three commitments are not separate, there are interlinked. But the Tibet issue is also connected with human values and inter-religious harmony. Out of three commitments, number one and two are mostly on volunteer basis. Till my death I committed myself to these causes. Regarding the third one, in a way it not a voluntary commitment, it is due to past history and to the he Dalai Lama institution. I am bound to this commitment and this responsibility, because I am the Dalai Lama who played a role in past history of Tibet. More importantly, Tibetans inside and outside Tibet put their total trust in me. They put their hopes into me; that is why I have the moral responsibility to serve them as much as I can. In the meantime, the Tibetan cause is the cause of a nation, this struggle should continue from generation to generation. My life represent only one generation. It is therefore very important, for the people themselves take more responsibilities. Secondly, we are deliberately promoting democracy. We truly believe in this concept: for the past 46 years, we are fully committed to the democratization of the Tibetan society. Our biggest achievement is to have now an elected leader, the Kalon Tripa [Prime Minister]. Since the last elections (4 years ago), I consider my position as of a semi-retirement. If we return to Tibet with a certain degree of freedom, then I will fully resign. Therefore, my third commitment has some limitation. But even in my complete retirement, I will continue with the promotion of human values and promotion of religious harmony. You speak about democracy, but if a poll is undertaken today, nobody will vote for your retirement! [Joking] My retirement will not be through voting, it is my individual human right [laughing].Already all the important decisions are taken by Samdhong Rinpoche [Tibetan Prime Minister]. I deliberately did so. Of course, sometimes, he comes and asks my opinion and whatever I say, he may listen. [And things] like the promotion of human values, no Tibetan can do this [as I do]. A few weeks ago I wrote about the Karmapa Affair: "Another complicating factor is the media (Indian and foreign), which often tries to project the young Lama as the Dalai Lama's political successor. The media forgets that the present Dalai Lama has ceaselessly worked from the early 1960s to introduce democracy in the exiled community. To have a 'political successor' would negate all these years of hard work. Would a 'political successor' prevail over an elected prime minister whose election is due in March? Tibetan democracy would then become a laughing stock." This is still valid today and explains why the Dalai Lama has announced his 'retirement'.